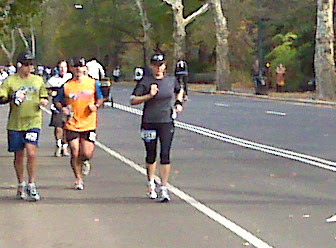 It was a beautiful day to be in Central Park for the Knickerbocker 60k. Clear skies, temps in the 50s, lots of runners in the Park.....just perfect. The day turned out to be somewhat of a repeat of Javelina 100, as I ran the entire 37.2 miles with Lynne. Eric also joined us for the entire run. We saw tons of friends today....a great way to end the 2009 racing year. Oh, and Phil McCarthy took first place - Congrats Phil !! Everyone looks primed to go in the early shots. 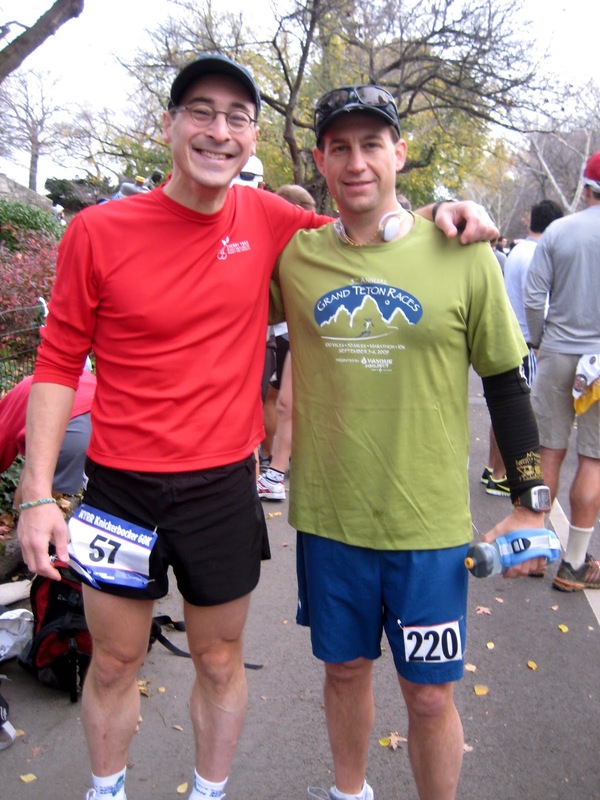 That's gotta be hard on the joints to do a 60k on asphalt, but what a great venue. Glad that you survived the monotony of 9 tiny laps in the park. And, it even sounds like you had fun doing it!